App templates are the next under the spotlight which help build powerful applications for IOS, Android, Unity and Ionic etc. These application templates can help you build applications with ease since these are all developed by extremely skilled developers using generic approach so that anyone who wishes to use it can reap its fruits with ease hence making these templates a must have. Then there are themes, as we all know, for any customer, the first impression they have about us is based on the user interface of our website, it’s design, color scheme and the flow sequence of the pages. This is a very delicate part and requires a team of skilled individuals to design and develop an effective UI for the customers. 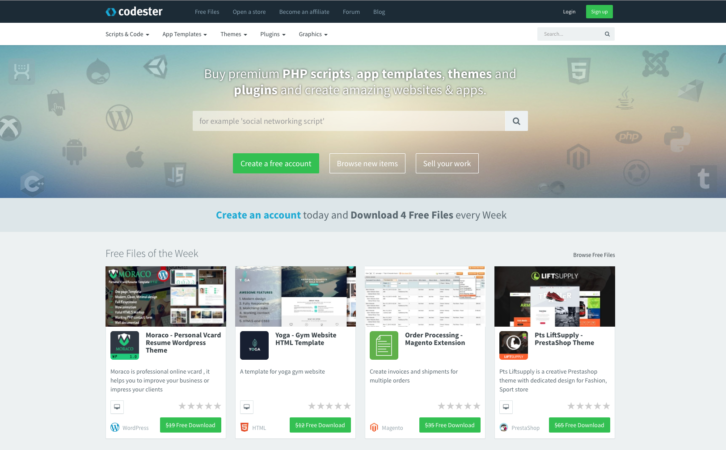 However, Codester has that covered for you with a large number of collection of themes developed specifically for different platforms for website development. There are themes available for HTML, WordPress, Joomla, Drupal, Magento, PrestaShop, OpenCart, Shopify, wooCommerce and more. These themes are professionally built for the easy integration for any of these CMS systems and make a great value for money. 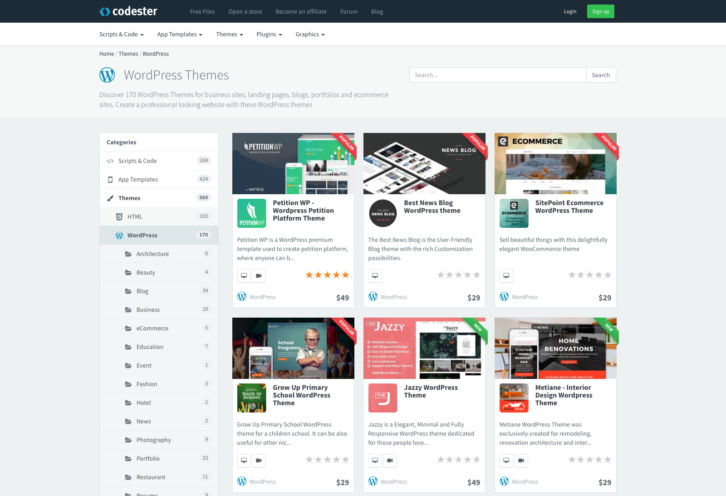 Codester also offers hundreds of powerful plugins for all of these CMS systems each of which is developed keeping the commons needs of a developer in consideration. There is a great collection of premium plugins that can add functionality to your website in just a few clicks. Last but not least, the website offers a large variety of graphics that include user interfaces, logos, icons, mockups and game assets. They save you the trouble of hiring a designer for the purpose and help you chose from the large variety of available products. A pixel perfect design is incomplete without properly designed logos and icons. Codester has got that covered for you. You can also affiliate yourself with the website. If you are not a developer but just looking earn some money, you can register and create an affiliate links. For all the customers who follow that link to purchase our products, you will receive a handsome amount of 10% on each product. 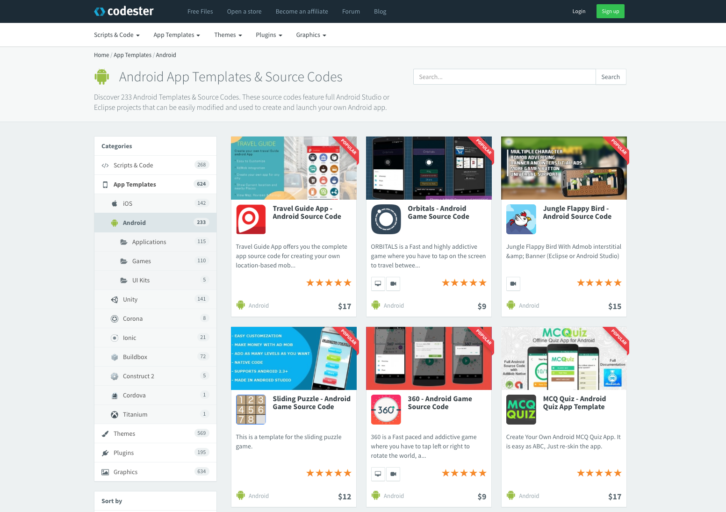 If you are a developer or a designer then you can sell your scripts, themes and source codes through Codester There are thousands of buyers on the website who will be willing to buy your valuable work. Codester has by far the best payout rate, which is 70% without any exclusivity requirements. Other platforms only pay 30% under these circumstances! You can sign up and start uploading your products. Codester will then review your items (usually within the day) and you are good to go. Each and every item on Codester is written by a professional designer or a developer. If you are given the opportunity to get things that are best for your website or app without any waste of your own time, at the most reasonable rates then how can you not take it? Start reducing your development, check out Codester. This is a fraud website.. dont use it they sold my item 2 times and has 23. something balance in my account after 2 sales they banned my account and told me that there was a copyright, so why they approve my item and where is my money they didnt give me my money back i was so many time mail them but they are so clever just here to make peoples fool and grab their money and just hide.